Julian Manley has many years experience in the field of psychosocial studies, and a background in group relations in the Tavistock tradition. His current research interests concern the use of the visual imagination and emotional awareness to open up new pathways to understanding human relationships. Fields of interest include co-operatives and community, climate change and the environment and the socially engaged arts. He also teaches psychosocial studies to undergraduate students. 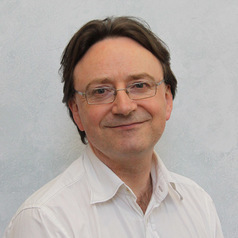 Before beginning work at the University of Central Lancashire, Julian spent many years living in Spain, where he worked in the British Council School teaching English language and literature for GCSE, A level and IB, as well as exercising senior management posts. As a result of his growing interest in group relations, he then became an organisational consultant and coach, working in Spain, the UK and France. In 2007 he was resident at Schumacher College, in Devon, and in 2008 he became Managing Director of Ecowaves, a consultancy and training organisation encouraging an ecologically aware attitude to human relations at work. His interests are in multi-disciplinary and trans-disciplinary approaches in psychosocial studies and in encouraging a more ‘holistic’, inter-subjective approach to thinking and understanding that embraces thought and feeling, intellectual and experiential, theory and practice. In the growing field of psychosocial studies, he has dedicated many hours of research time and experiential work in the area of ‘social dreaming’, the main subject of his Phd thesis. As part of this research, other related psychosocial aspects have emerged, such as an ongoing reflection into the nature and meaning of the ‘psychosocial attitude’, psychosocial methods, contemporary philosophy and fields of enquiry, including the nature of the shared unconscious, the image-like value of the ‘language’ of dreams and unspoken ideas, the connections between emotion and the visual, the understanding of subjectivity and inter-subjectivity.